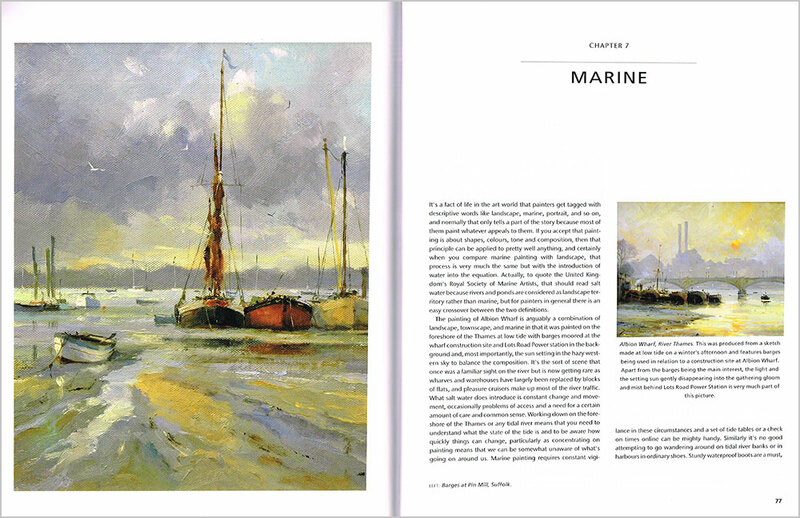 A 112-page paperback book by David Howell. This book isn’t for beginners as it does not have demos or how-to instruction. It is David Howell sharing his thoughts and his way of painting and has lots of his beautiful paintings. David Howell PPRSMA is an English painter working from a studio in North Yorkshire, UK. His paintings are primarily of landscape and marine subjects, but he is also well known for his Equestrian racing pictures. He works in watercolour, oils and pastels, and is a regular exhibitor at both national level and with regional galleries both in the UK and overseas and is a Past President of the Royal Society of Marine Artists and an honoury member of the Pure Watercolour Society. David’s approach to painting is very much concerned with capturing atmosphere and a sense of time and place but above all he is concerned with producing good paintings rather than topographical accuracy. He works outside as much as possible and over the years has travelled widely and is just as likely to be found sitting by a canal in Venice as dragging an easel through the Arabian desert. His paintings hang in corporate and private collections in locations that vary from royal palaces in the Middle east to city boardrooms. 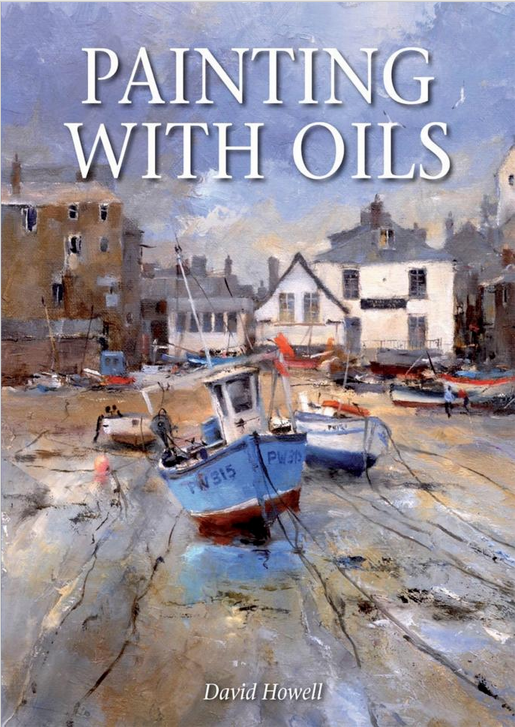 Click on the underlined link to go to the current offers on the book Painting with Oils on the Jackson’s Art Supplies website. 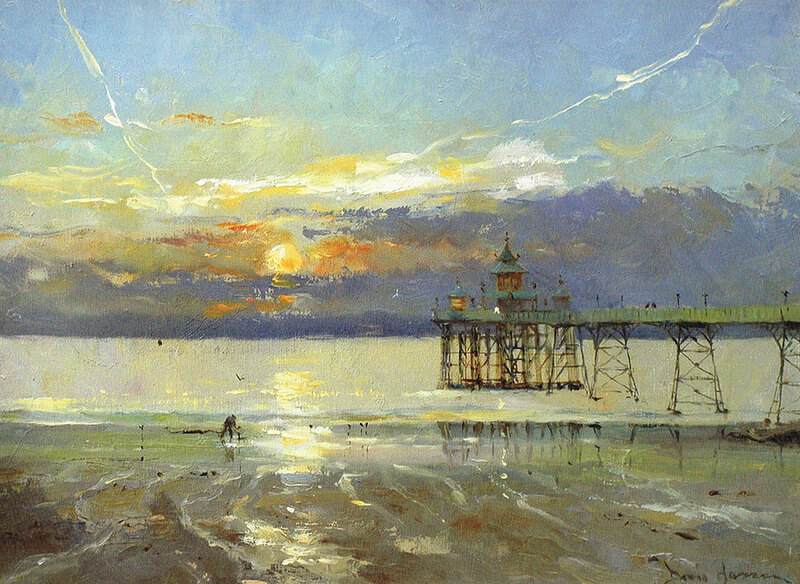 The image at the top is ‘Clevedon Pier at Sunset’ by David Howell from the book.